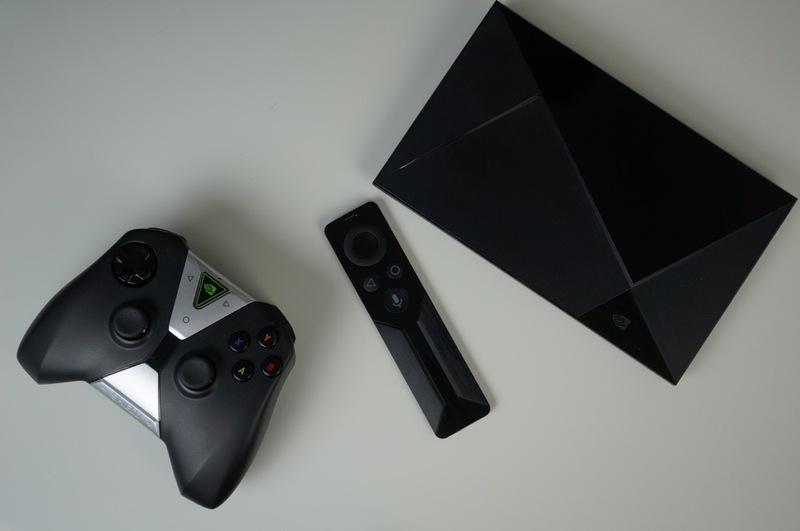 NVIDIA’s SHIELD set-top box is quite the little machine. 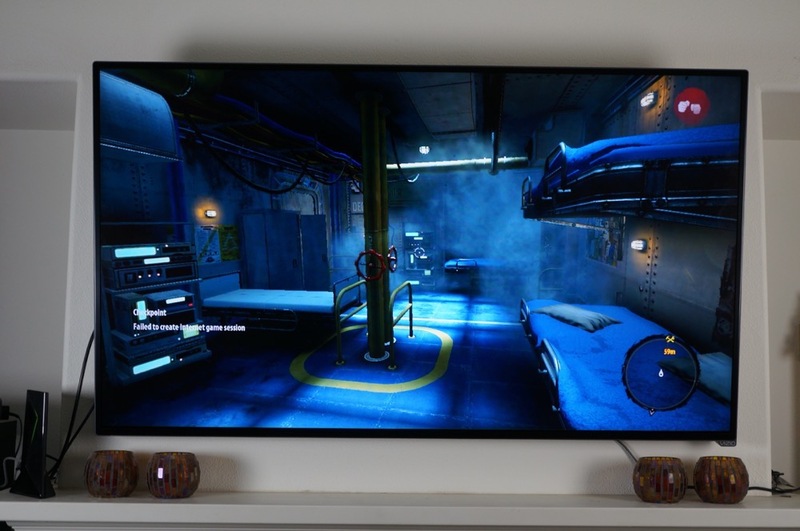 A few of you may already have it in your home, given that it first became available back in late May, but just like smartphones, we like to take our time living with this tech in our own home, making sure we know the whole story before rushing to post a complete review. 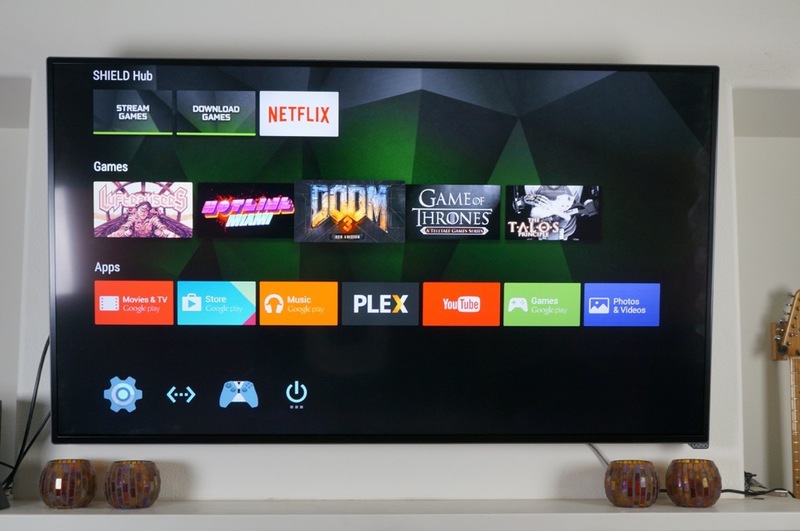 I have been living with SHIELD hooked up to my TV in the living room for a little under a month now, and while most of my experience has been fantastic, it’s not NVIDIA’s hardware that causes issues for me at times; it’s Android TV. 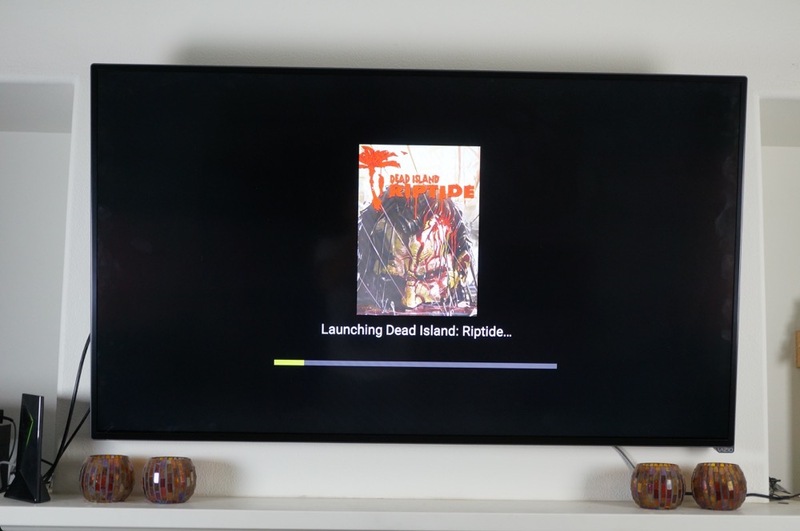 In the review below, we will go over the benefits of buying a SHIELD over a basic Nexus Player, plus the ups and downs of living with Android TV. 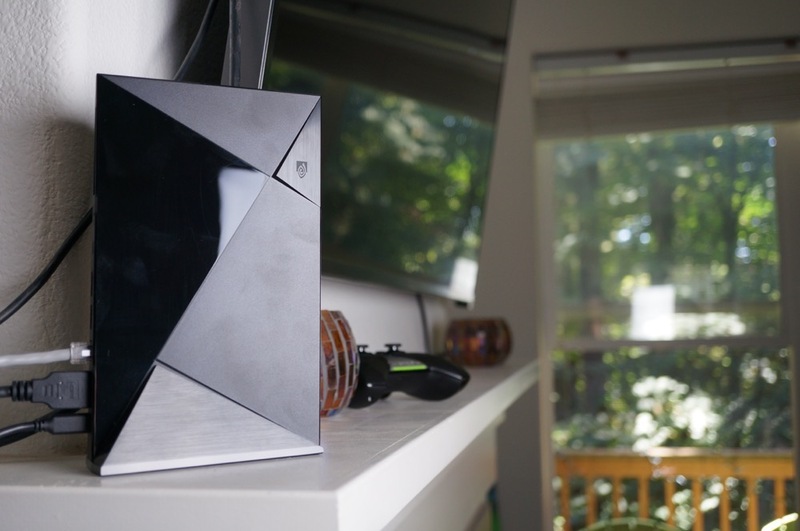 This is our NVIDIA SHIELD review. 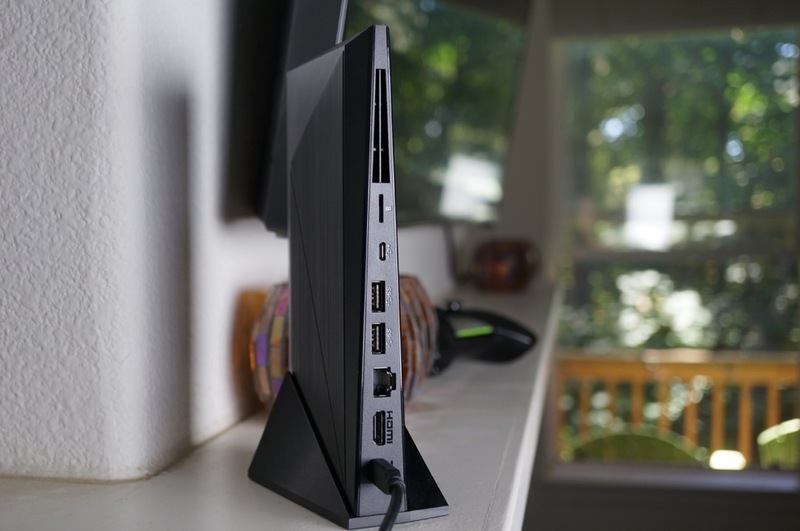 The SHIELD features a Tegra X1 processor with 3GB of RAM, plus 16GB of onboard storage. If you opt for the Pro model, you receive 500GB of storage, containing a hybrid HD with spinning hard disk and small amount of flash memory to help with performance. 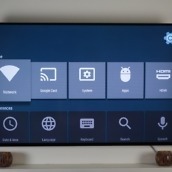 For ports, SHIELD has 2 full-size USB 3.0 slots, HDMI 2.0 with HDCP 2.2 4K (UHD) copy protection, 2.0 micro-USB for ADB, Bluetooth 2.1, Gigabit Ethernet, 802.11 ac – 2×2 MIMO WiFi connectivity, and a Infra-red port for Logitech Universal remotes. 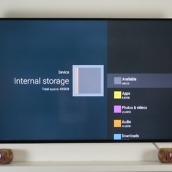 In terms of an Android TV set-top box, not much compares to SHIELD currently on the market. At least from my experience, NVIDIA has never skimped when it comes to hardware. Everything from their tablets (SHIELD Tablet) to hand-held gaming consoles (SHIELD Portable) feel very premium, with SHIELD being no different. It’s slightly heavy, with the look of brushed metal on part of its exterior, but thankfully, this isn’t a device you have to carry around with you. Once you have it placed on your desk or wherever in your living room, it will likely stay there, looking good. 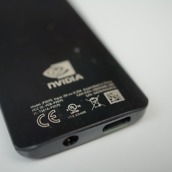 It features a unique design, with edges and points on its topside, plus that shiny NVIDIA Green illumination when powered on. It’s a good looking unit. 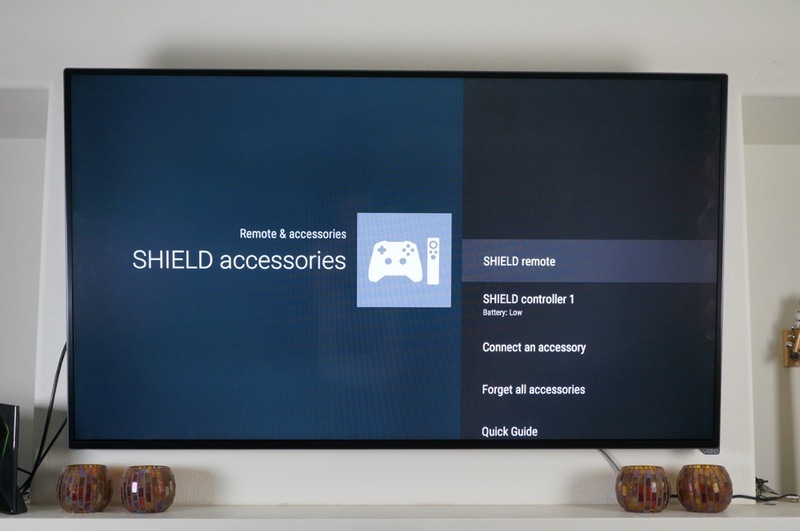 Like other SHIELD devices, the SHIELD Android TV has a few accessories available to it, those being a SHIELD Remote and a SHIELD Stand. 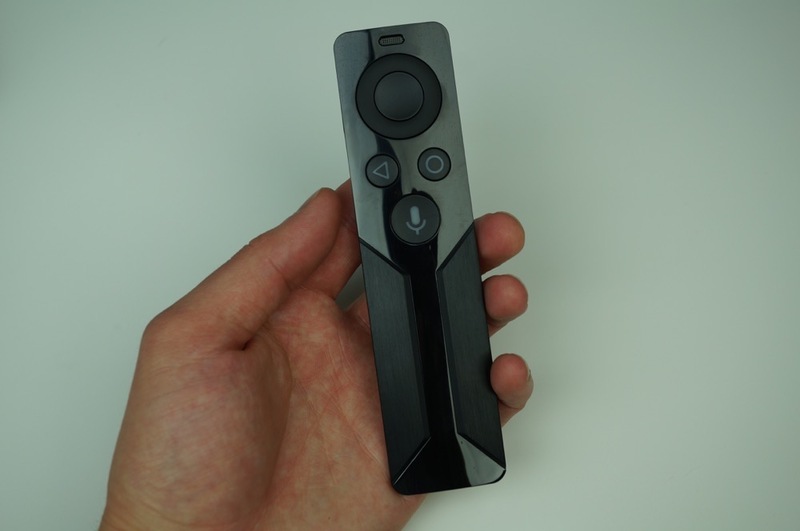 The SHIELD Remote is much like the remote you would find with the Nexus Player, but NVIDIA went above and beyond in terms of capability. 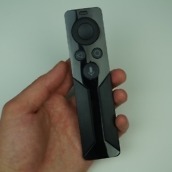 With SHIELD Remote, folks who wish to watch their shows in privacy can hook up a headset directly to the remote for audio via a built-in 3.5mm headphone jack. This way you don’t have to wake up your spouse or kids who are sleeping upstairs while consuming your content. 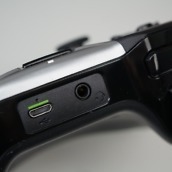 The SHIELD Controller, included with the purchase of SHIELD, also features a headphone jack. 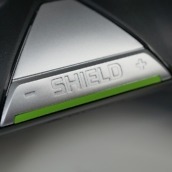 The SHIELD Stand is rather basic, allowing you to prop up SHIELD, much like you could a Xbox 360. It features a light adhesive on its bottom side, as to make sure it never falls over during an earthquake or getting bumped by something. This adhesive can be pulled up and moved, remaining sticky and not leaving marks. The SHIELD Controller that is coupled with SHIELD out of the box is the same controller that launched alongside SHIELD Tablet. The only real difference is that it features Lollipop style buttons instead of Kit Kat on the frontside for Home, Back, and Start. 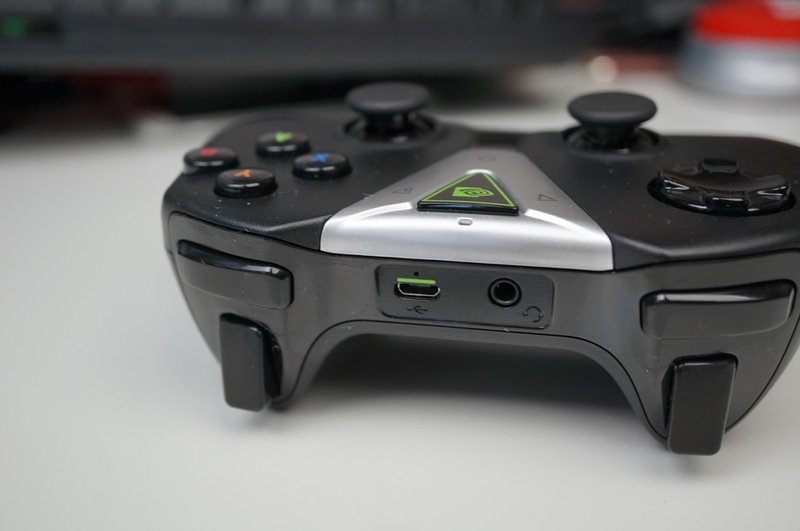 It’s a well-built gaming controller, complete with triggers, bumpers, d-pad, joysticks, and long-lasting battery. 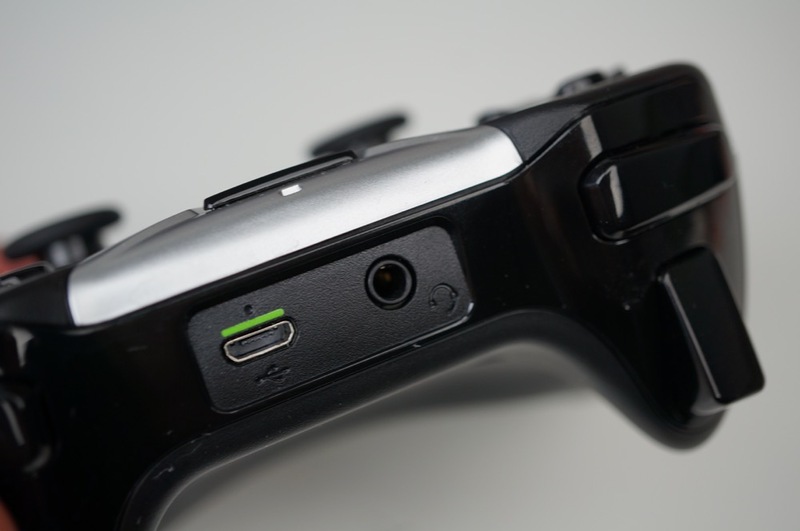 The battery is charged via a microUSB port on the controller’s topside, right next to the headphone jack. 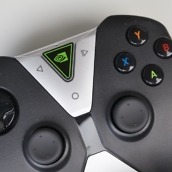 Folks may ask, why did NVIDIA include a SHIELD Controller with SHIELD and not just a SHIELD Remote? Well, that’s simple. During a briefing, NVIDIA states that they want buyers to receive the full experience, no matter which model of SHIELD you get. 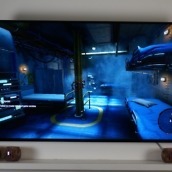 SHIELD Android TV is meant to be experienced with a full game controller, given that its main purpose, at least in my eyes, is gaming. Each of these accessories can be purchased separately, and additional SHIELD Controllers can be bought as well. 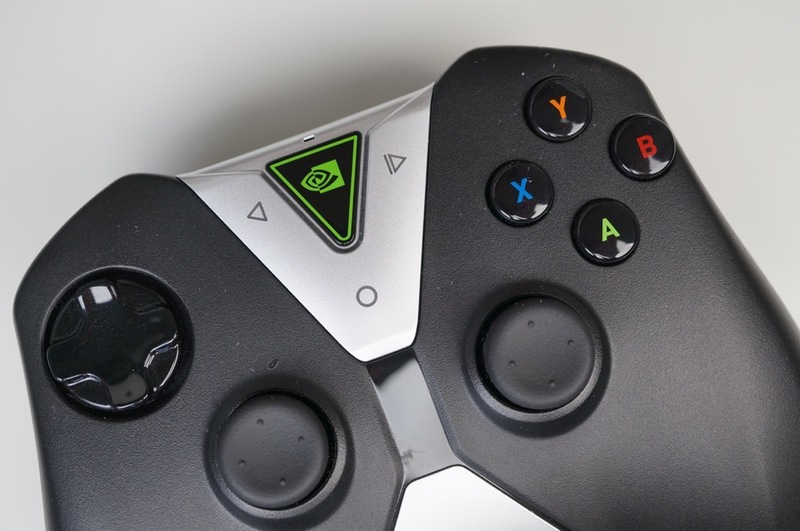 The SHIELD Remote is priced at $50, SHIELD Stand at $30, and extra SHIELD Controllers cost $60. Most of my excitement surrounding SHIELD was the gaming aspect. 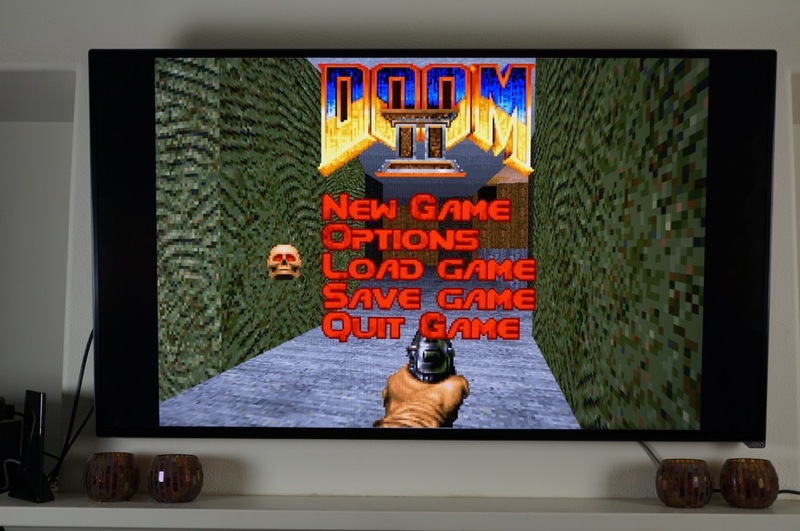 Sure, you can play games built for compatibility with Android TV, but let’s be real, not all of those are awesome. 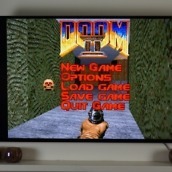 Announced alongside SHIELD was the release of DOOM 3: BFG Edition, The Talos Principle, Miami Hotline, and Luftrausers. 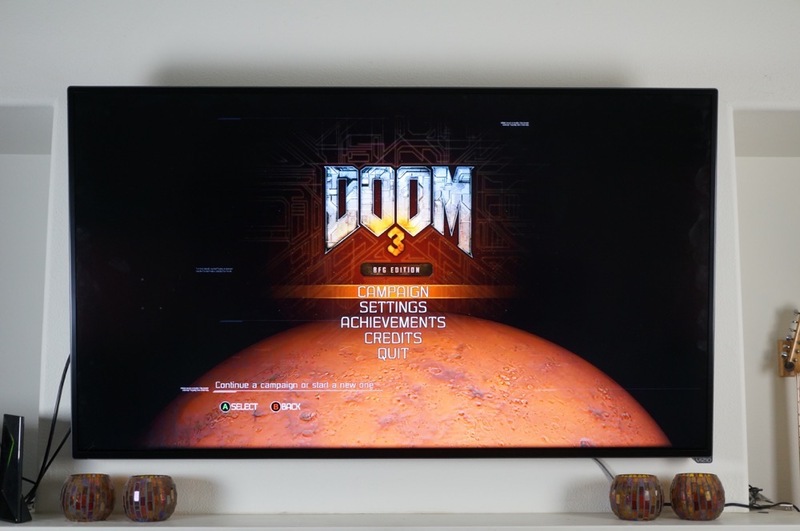 Now these games are what I’m talking about — games built specifically for those with gaming controllers, played on the big screen TV in your living room. 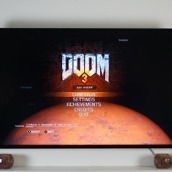 Thanks to SHIELD’s computing power, shooting my way through DOOM 3, plus the older DOOM and DOOM II was really great, and with NVIDIA testing controls and playability themselves, controllers work without a hitch during gameplay. For users of GameStream, don’t worry, it’s baked into SHIELD as well. 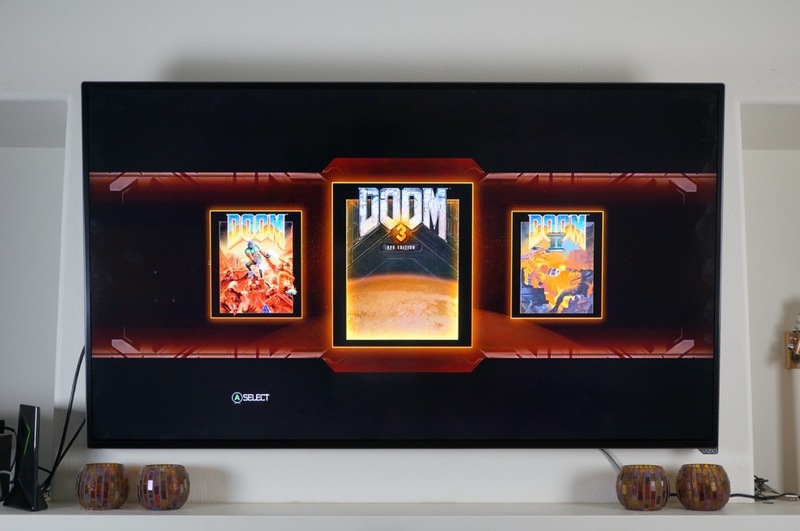 GameStream allows you to stream your compatible PC games via your home’s Internet connection to the HDTV in your living room. First introduced with SHIELD Tablet, you will again need to make sure you have all of the necessary tech to make it work. And for the Twitch streamers among us, NVIDIA Share is available, allowing you to stream your gameplay directly to Twitch while you play. For gamers who love to share their experiences, it’s a big advantage over anything else on the market. 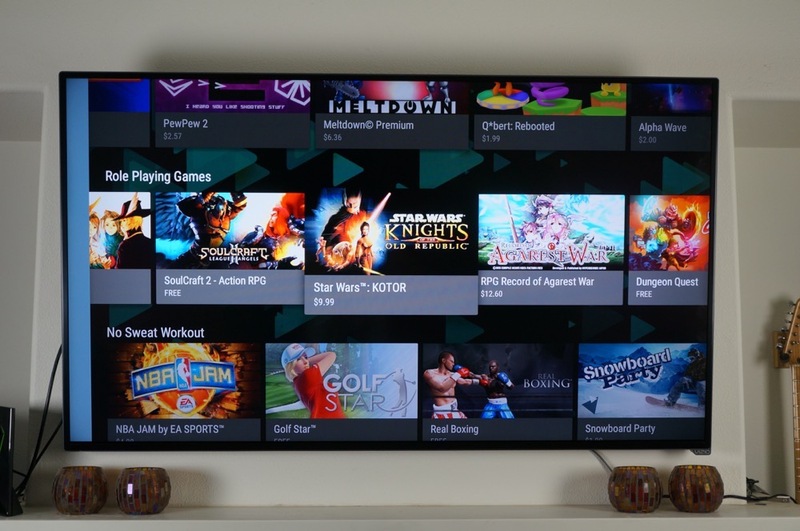 Beyond just gaming, whipping through Android TV’s menus is a breeze, with no signs of jank or lag. Everything runs smoothly at 60FPS. With the Tegra X1 and 3GB of RAM, you would really hope not to see any performance hiccups, and thankfully during my living experience, I didn’t notice any issues in the performance department. As long as you have excellent Internet speeds, everything should download smoothly, run phenomenally, and look fantastic. 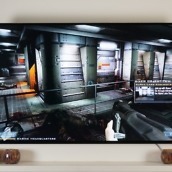 Alongside games released natively for Android that you can download straight from Google Play, NVIDIA has something special for those who want to take gaming to that next level, and that’s Full HD game streaming from GRID. 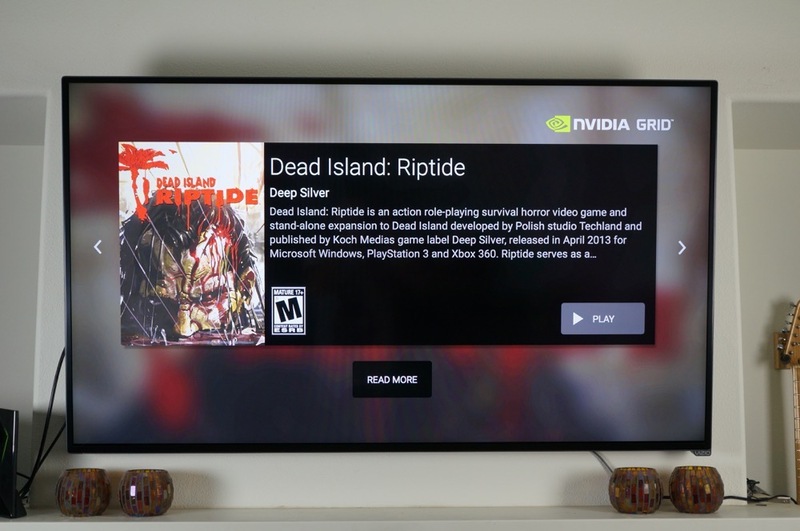 No longer in beta, GRID allows you to stream games via dedicated servers over a high-speed data connection. 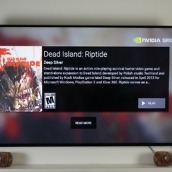 To NVIDIA, a high-speed data connection equates to a recommended 5-10 Mbps for 720p streaming and 30-50 Mbps for 1080p. To get those speeds, I would recommend hardwiring SHIELD to your router, just to make sure you don’t have to worry about an inconsistent WiFi connection. As for which games are available for streaming, currently there is Batman: Arkham Origins and Arkham Asylum, GRID and GRID 2 (racing games), Borderlands, Homefront, F.E.A.R. 3, Dead Island, and a boat load of LEGO titles. 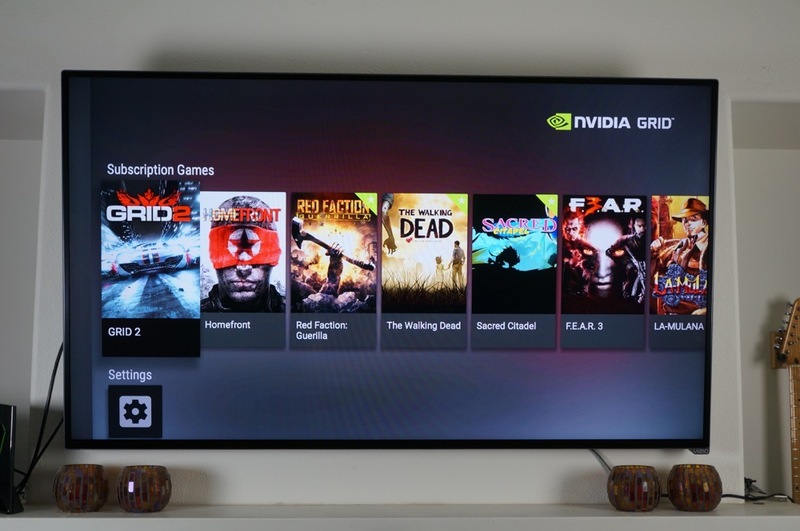 NVIDIA adds new titles to GRID regularly, so don’t worry about running out of titles to play. Honestly, I don’t like to buy every game that is available for whatever console I own. GRID allows me to play these games free of charge and even saves my progress on a server via my account. As a consumer, this is a ton of value included with my initial purchase of SHIELD, so anything that is included along with that purchase is icing on the cake to me. I stress the issue of gaming to potential buyers of SHIELD because if you are interested in buying this box, yet don’t plan on playing any games, what’s the point? 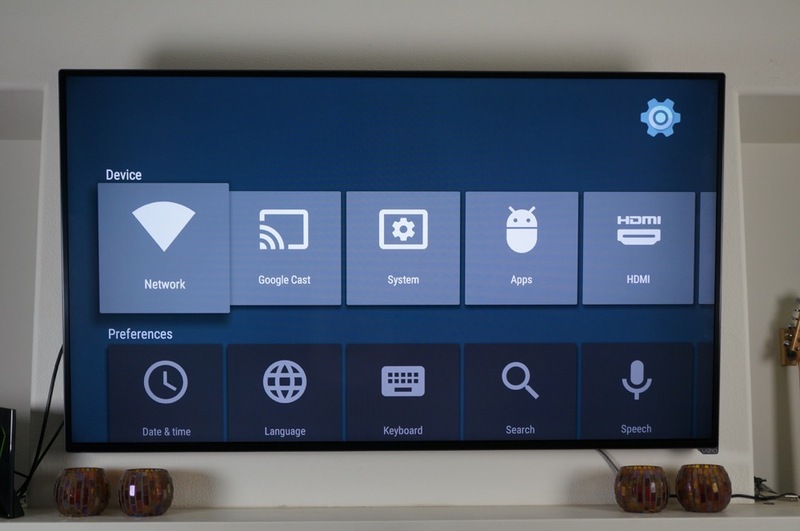 Sure, if you want a super glorified $199+ Android TV box, go for it, but in actuality, this is a specialty device with a somewhat limited market. 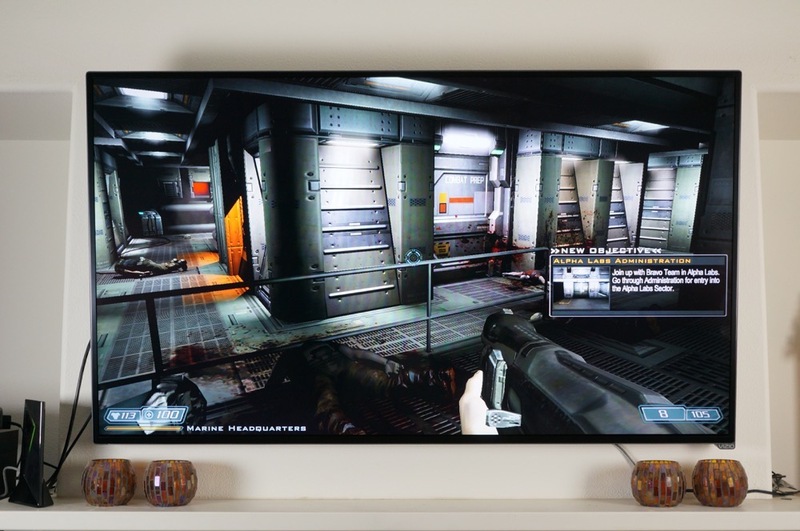 Yes, the gaming industry is huge and mobile gaming is growing like crazy, but how many people really want to play their mobile games on a HDTV? 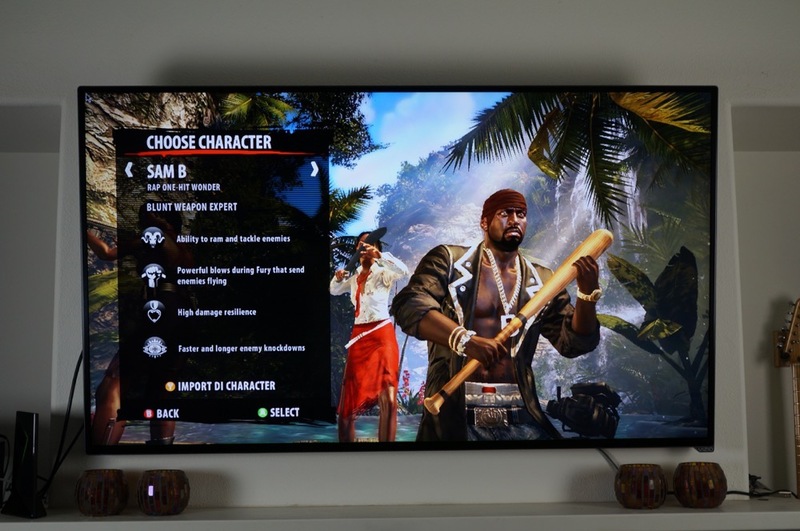 A SHIELD buyer needs to want to play AAA gaming titles in the living room, with a controller in-hand. 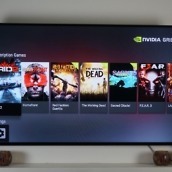 NVIDIA already has more gaming titles lined up, so if you take gaming seriously, SHIELD is really your only option for the living room in the Android TV space. 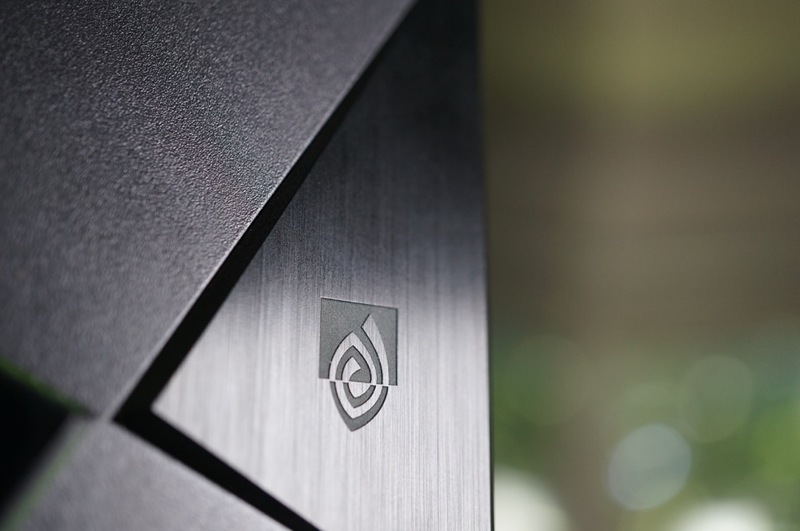 Unlike other Android TV boxes, SHIELD is essentially future proof. 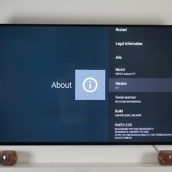 It features the ability to playback 4K content, something that other boxes cannot do. Now, as of today, 4K content is extremely limited, but it is really only a matter of time until it is mainstream. 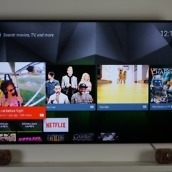 4K TVs are becoming more affordable, and with this, the demand for 4K content will grow. 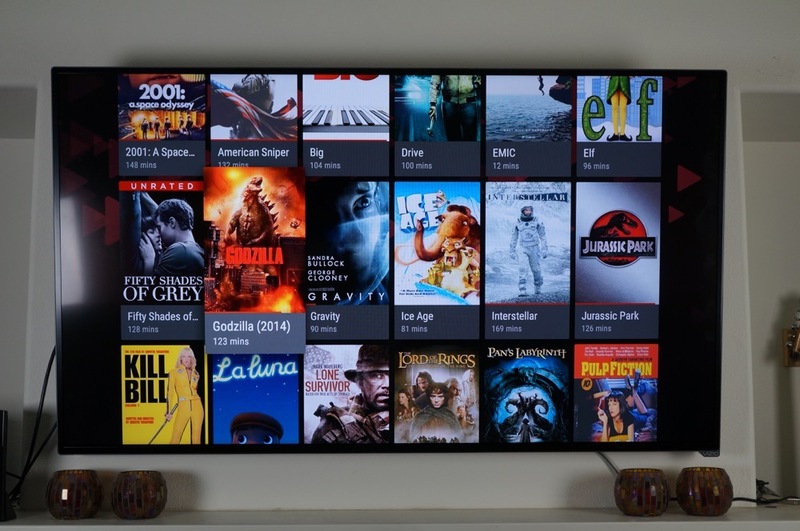 As we already see, Netflix produces a TV series in UHD, which looks fantastic when being streamed on SHIELD. I thought Kevin Spacey in House of Cards was already a good looking guy, but in 4K, he’s super handsome. Beyond limited content, unless you want to stream 24 hours of MKBHD YouTube videos, the simple fact that SHIELD supports 4K is important. In a world where whatever we buy seems outdated the second we open the box, SHIELD will at least be able to keep up with the change from Full HD over to 4K as it becomes more popular among movie/TV studios and content creators. 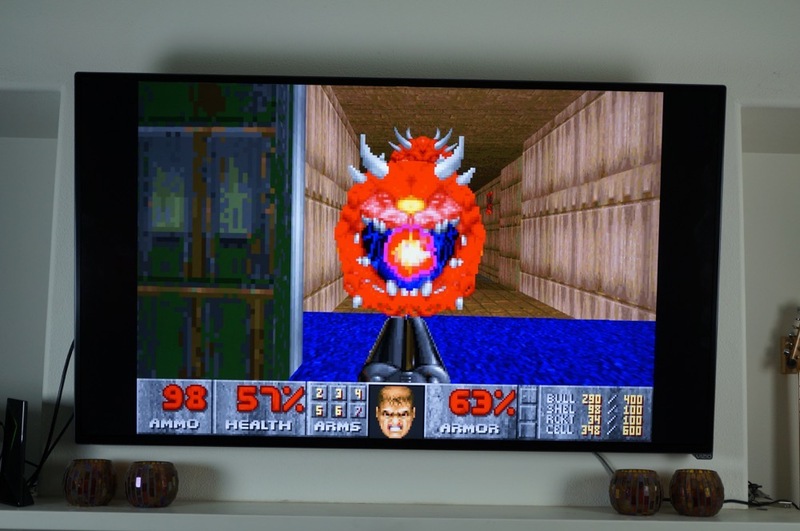 Note: NVIDIA provided a 4K TV to me for this review. 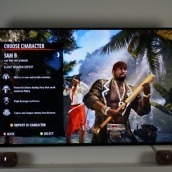 Just like previous SHIELD devices from NVIDIA, updates for these units and accessories come straight from the company; no waiting for carriers or any of that nonsense. In my experience, NVIDIA takes the update game extremely serious, always trying to provide the latest build of Android to their customers, while still baking in special features. 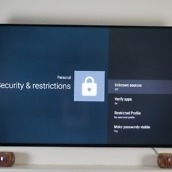 Since having SHIELD in my home, it has received a few updates that focus on making it perform better during streaming. 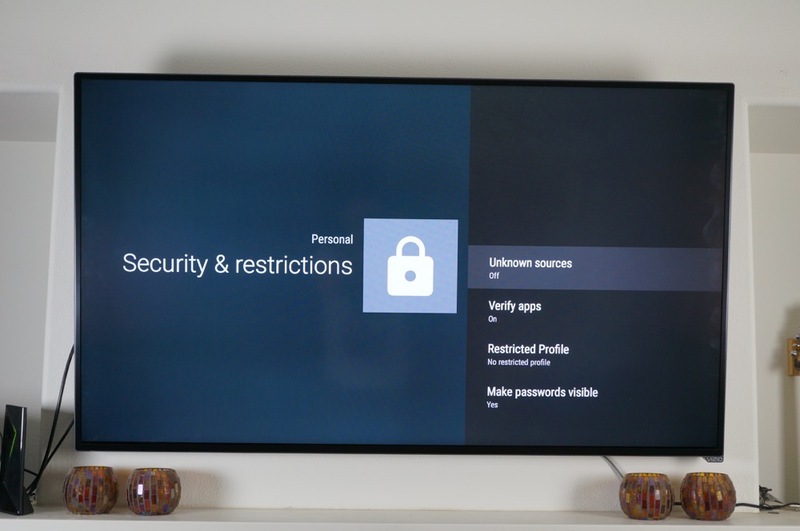 If updates are important to you, as they should be, SHIELD seems set to receive updates well into the future. 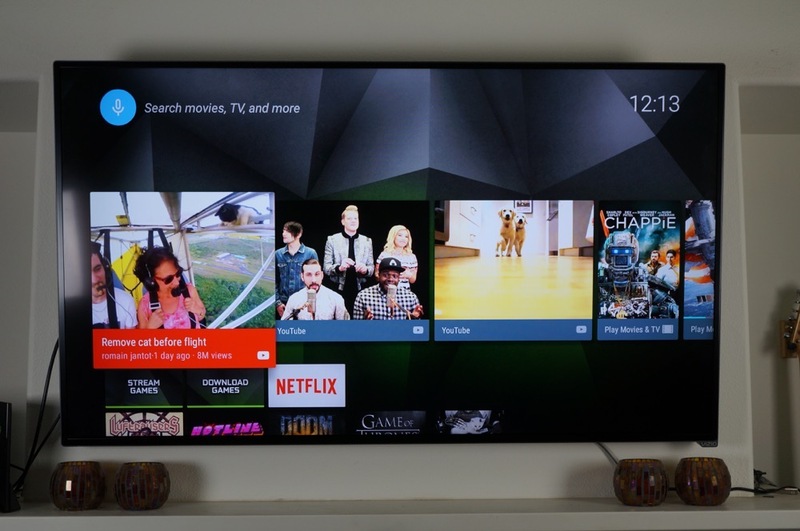 Android TV has been available for quite some time, but it still has some growing to do. The basic operation of it is simple enough, complete with scrolling and clicking, but I feel it is missing something. Maybe if I could hook my cable box up through Android TV to get some type of overlay, that could be sweet, but sadly, this is not the case. Instead, on my TV, I have to switch inputs from my cable box to see my SHIELD content. 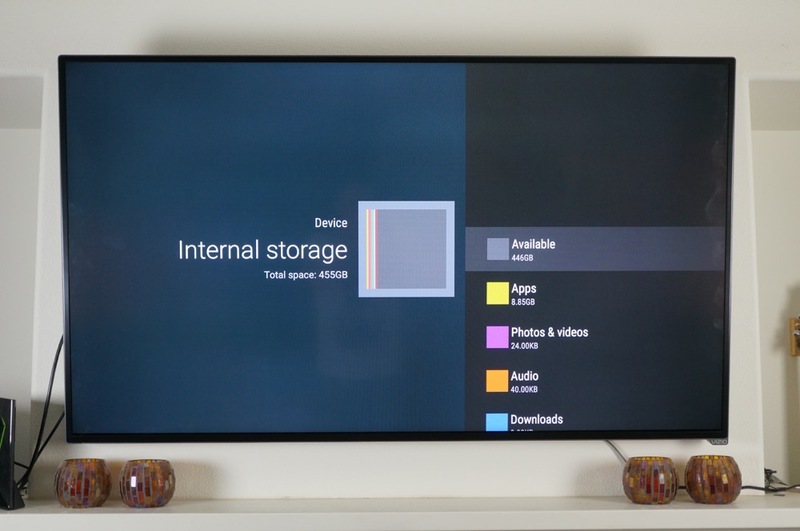 Once loaded up, Android TV is very minimal. 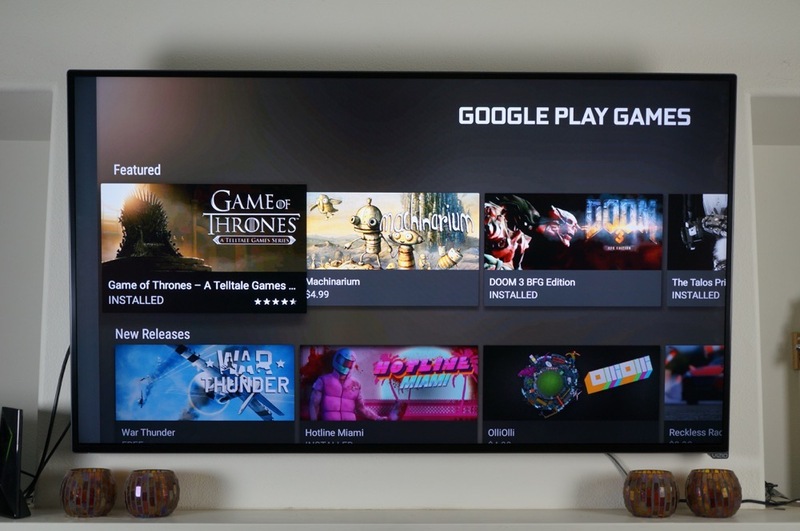 You can access Play Movies and Play Music, plus download third party apps like MLB.TV, Netflix, and Hulu Plus, but one of my main issues was Google Play. 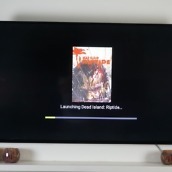 Before the recent Android TV update, browsing through whatever titles were available on Google Play wasn’t quite possible. 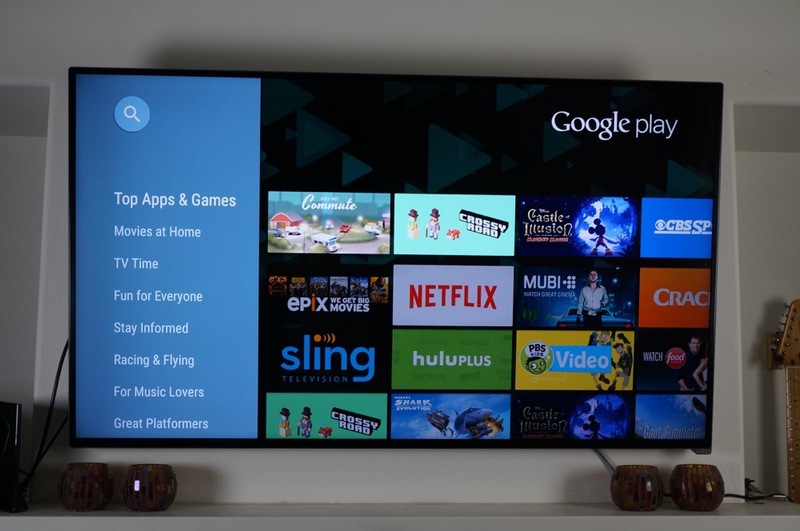 You either had to load up the apps from your desktop and send them to Android TV, or hope the app was popular enough to be listed on the front page. Now with the update available, browsing all apps is possible, it’s just that there seems to be a lack in the Android TV app ecosystem as a whole. It’s growing, but still lacking. 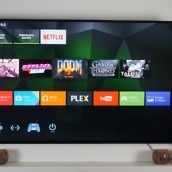 Everything you probably need is there, such as Netflix and Hulu — HBO Go is on the way — but a first time user of Android TV may be left a little bored with the lack of features. 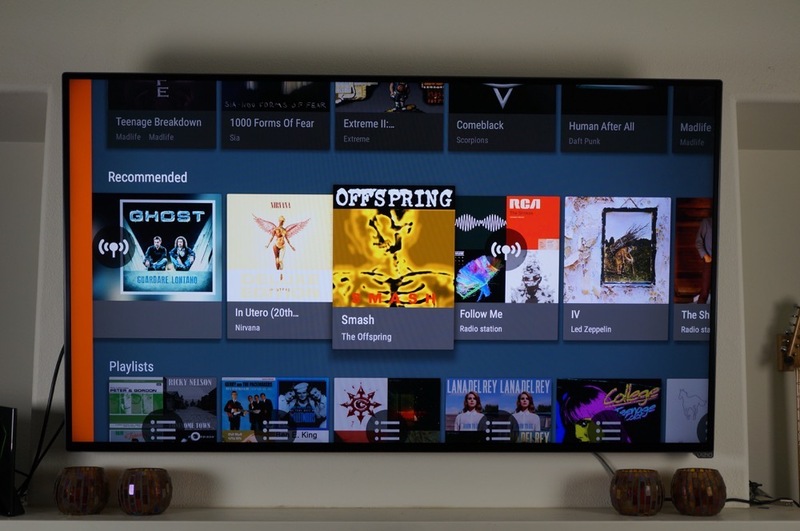 Now, besides an unknown longing for something more, Android TV is a nice, simple platform for watching YouTube videos and movies already in your Play Movies library. Given that it is tied to your account, accessing your already-owned content is very easy, and thanks to the built-in Voice Search function, finding whatever you want is made very easy. 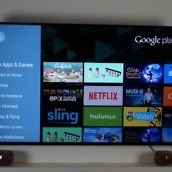 Don’t get me wrong, Android TV is nice, but I think it could be better. SHIELD is priced very well, if you plan on using it to its full potential. For the 16GB model, capable of only holding a few games, you are looking at a $199 price. This includes a SHIELD Controller, access to GRID game streaming, plus a promotion for $30 in Google Play credit and 3 free months of Google Play Music. 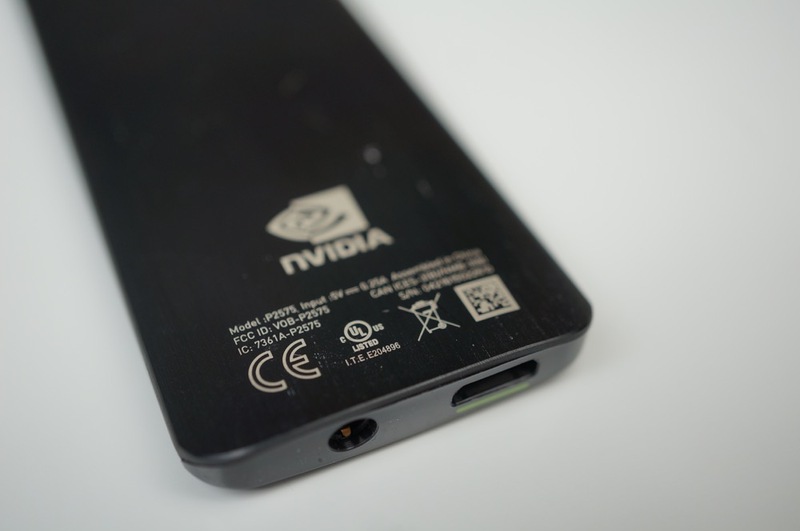 For an extra $100, you can go the Pro model, featuring 500GB of onboard storage. Included with the Pro is also a SHIELD Controller, $30 of Google Play credit, 3 months of Google Play Music, and a copy of Borderlands: The Pre-Sequel upon its release. So, in my opinion, if you are thinking SHIELD, then you have to go Pro. All that storage will really come in handy, allowing you not to worry about taking up too much space with games you don’t play. One of my issues with the pricing is not of the unit itself, but with its accessories. 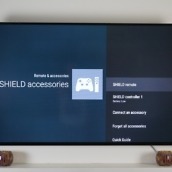 For an extra $50, you can buy a SHIELD Remote, or for $30, a SHIELD Stand. While the stand is nice, it’s a piece of plastic that you stick your SHIELD into. It looks cool, but $30? Damn. $50 also seems steep for SHIELD Remote. Instead of including Borderlands and 3 free months of Google Play Music, why not throw in a SHIELD Remote and Stand for Pro model buyers? Or maybe a complete SHIELD Bundle option for those who don’t want/need Play Music and Borderlands? Even more crazy, why not offer a SHIELD coupled with a SHIELD Remote for just $150, then make people purchase a SHIELD Controller separately if they decide they want to game with the device? 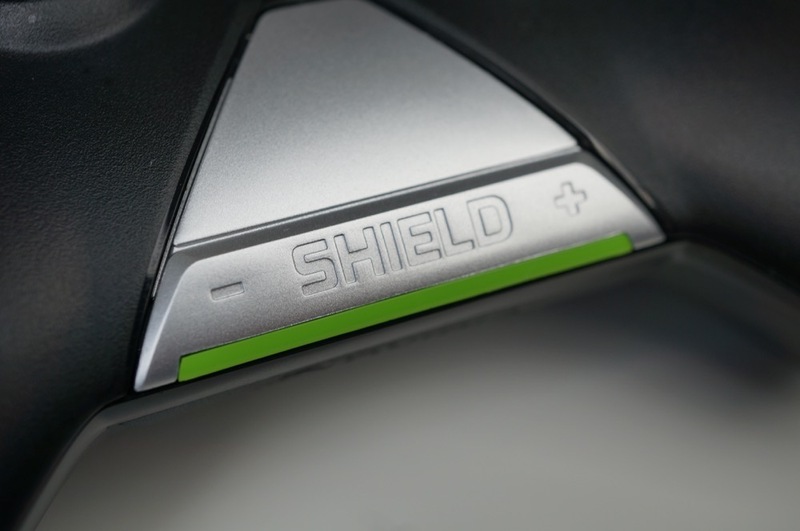 There are a few different ways NVIDIA could have gone about the pricing for SHIELD, and in the long run, they probably chose right, but as a consumer, I would have liked to see a few more options. And seriously, $199 for just 16GB of storage? At least make it 32GB, NVIDIA. I, along with our friend Dave Kover who owns a Pro model of SHIELD, have come across a bug or two during our time with SHIELD. It’s nothing crazy, but they do exist, and so far, have been the only damper on my time with the device. For me, at times when I don’t place the device into Sleep mode and leave it, I will come back to it and the picture will be extremely distorted. This will force me to restart the box, then all seems well. Again, this only seems to happen when I leave the device sitting for a while and not placing it in Sleep mode. 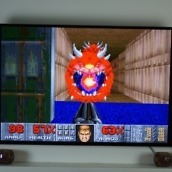 Dave, on the other hand, ran into an issue with the connectivity of his SHIELD Controller. After starting playback on a video, the SHIELD Controller will turn off (disconnect), and then when he presses the SHIELD button to turn on the controller, it won’t sync back up with SHIELD. This also resulted in him having to restart his box. These are not insane bugs, all of which are likely fixable by NVIDIA in an update, but don’t go into SHIELD thinking you will have a flawless experience, and then when something happens you freak out and think your unit is broken. Bugs happen. 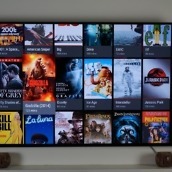 In my opinion, SHIELD is the best set-top box you can get on the market today. It delivers everything the competitors have, and then some. Sure, that initial cost might seem high at first, but in the long run, you have a future proof box that delivers your HD movies, music, games, and 4K content. That’s a lot to ask for, all for starting at $199. The only real reason you should opt for something less is because you think you won’t need all of the gaming features. I mean, c’mon, it comes coupled with a game controller. 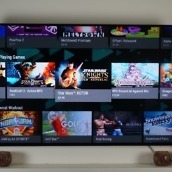 If games aren’t your thing, then there is no need for it, and maybe a Nexus Player or Smart TV with Android TV baked in would be a better fit. 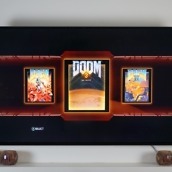 But if you want to turn your TV experience up to 11, SHIELD is the way to go.